An introduction for students to computer programming using M.I.T.’s ScratchJr App visual programming language. Students will create animations and customize popular video games such as Cat-n-Mouse to understand the logic behind programming. Using M.I.T.’s Scratch visual programming language, students will be taught to understand the basic concepts of programming and debugging. Students will design storyboards, develop simple to advanced games like Maze and Pac-Man, and heighten their programming skills with logic operators, loops, variables and more. Students will learn the Python programming language and use loops and data types. They will learn to work more efficiently with programming syntax, resulting in developing longer programs. Students will use the Java programming language to design apps and develop ideas in the Android, Android SDK, Android Studio, and Eclipse environment. They will complete group exercises and individual projects in order to develop apps. Kids will learn about hardware technology and computer programming. We have robotics classes and camps for all ages, including Blockly, LEGO EV3, computer building, and our new cybersecurity course. The Robotics 201 class is for kids, grades 3-8, to be introduced to robotics and computer programming using the LEGO Mindstorms robots and the EV3 programming software. Students will learn the functions and mechanics of the LEGO robots including sensors, switches, blocks and more. The Robotics 301 is our AccelerateKID Robotic Team for kids, grades 5-8, to participate and compete in the FLL (First LEGO League) and Robofest competitions. The students will be coached and mentored by experienced instructors to build, program, problem solve and collaborate as a team. 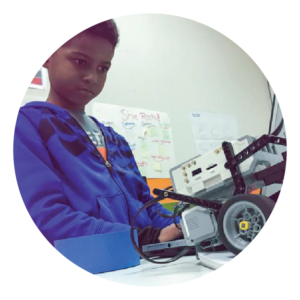 The Robotics 401 class is for kids, grades 5-8, to build and program advanced Vex robots, using C programming language, to perform several challenges including the Parade and Delivery projects. Students will work in teams, develop problem-solving skills, understand engineering and programming knowledge, and more. The Robotics 501 is for kids, grades 6-8, to learn to build Robolink’s CoDrone and code using Arduino and C/C++ programming language. The CoDrone is first. 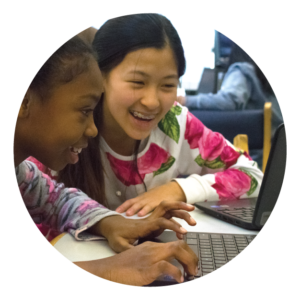 Students will learn the basics of variables, control statements, automation, advanced feedback control and how to write their own programming libraries. Teaching kids about creative design and digital art technology. We have 3D printing, YouTube video production, entrepreneurship, web design, stop-motion animation and graphic design classes, camps or clubs for kids. 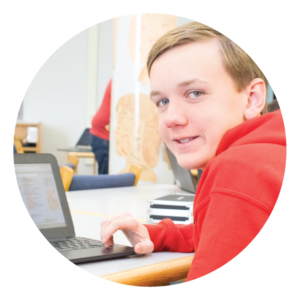 Web Design 301 Wix is for students grades 6-8 and seeks to develop the next generation of kid entrepreneurs by providing students the knowledge and tools to create a business website. This course will help students plan, validate, and implement their ideas. Students will develop a business model using the Lean Canvas and then use the Wix platform to design and build a website for that business. Animation 301 is for students grades 6-8 to learn and implement the basics of 2D animation techniques. Each student will learn the techniques necessary to manage a large project with many pieces, as well as the artistic and cinematic techniques used by professionals in the field. Students will learn about the Lean Canvas Business Model and how to apply it to their creations! Video 301 is for students grades 6-8 to learn how to film and edit different types of video and design professional looking channels using Microsoft MovieMaker, Apple iMovie, and/or Open Broadcast Software. Students will learn different methods to record their ideas into videos, edit intro videos, render professional looking videos and much more. 3D Printing is an emerging technology that teaches students grades 6-8 to design 3D models using Autodesk TinkerCAD and to 3D print using MakerBot Desktop software. The class encourages students to use creativity in troubleshooting, engineering, and product design. This is a great course to introduce children to 3D printing, and the basic fundamentals of design within a 3D environment. Teaching kids about game design and coding using fun games like Minecraft and Roblox. It doesn’t matter if your child is a novice or expert at gaming, we have tech classes, camps and club meetups for all ages. Using Minecraft Pocket Edition, students in grades K-2 will understand PE functions and tools, develop designs, learn to build in creative and survival modes, problem solve issues, work in teams or individually, and present their creations. Gamers, grades 5-8, will master the Minecraft Server using the sandbox. This class will allow students to learn and implement the technology by establishing a server, understanding port forward and creating game arenas. Programming with the Java language, students will design and build mods with M creator. Minecraft modding is the most popular feature because they can modify and add custom items to their games. Students, grades 5-8, will learn to develop 3D space using the Roblox Studio editor and Lua Scripting language. Gamers design their own games with objects, and items using computer programming. Students, grades 5-8, develop 3D game animation and video game skills using the Unity Game Engine. Unity is utilized by companies such as Cartoon Network Studios. The class will apply creativity and programming skills to create 2D and 3D games and animation. We tailor every lesson plan to each child’s individual needs; focusing on obtainable goals while also introducing new challenges to encourage kids to positively step outside of their comfort zone. Contact us if you need any help finding the right course for your child. 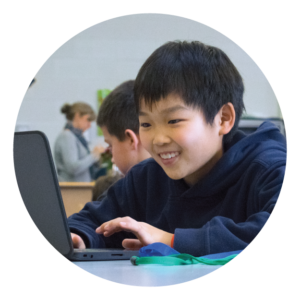 Our proven curriculum encourages kids to think outside the box through the wonderment of technology. Classes introduce entrepreneurship skills including confidence in presentation, task management, story-boarding/conceptualizing, organization, and in select courses business model development (with our AccelerateKID lean canvas). Our instructors provide mentorship as experienced professionals in the tech industry. Every 3 months, we assess each student with an individualized evaluation to identify his or hers strengths and any areas needing more attention to ensure each student fulfills their highest potential and achieves a long-term advantage in a competitive world. AccelerateKID offers lab days in the event of a student absence. Lab days offer a day of catch up for those who missed a session or are falling behind and introduce new challenges to kids who are on track or ahead of the class. Ensuring all kids are able to reach their fullest potential is our highest priority. Classes are available year-round. New classes are made available each month and schedules can be reviewed prior to registration. Each course runs 4-9 months and meets one day per week for 1-1.5 hours. Payments are made in monthly tuition installments with no commitment; you can cancel at any time. At the beginning of each class, we review previous instruction and homework for 15 minutes, ensuring all students are caught up. This is continued by 60 minutes of instruction. We conclude each class with 15 minutes of review, homework assignment and student work backup. All students retain rights to any and all work they have completed throughout the class. Please note that our class offerings vary per location (Wixom and Madison Heights). If the class you’re looking for is not yet available, you can request it here or subscribe to our newsletter and we will update you when new classes become available.